“True,” Hans replies, “but then you would have missed out on a chance to hear me lecture. 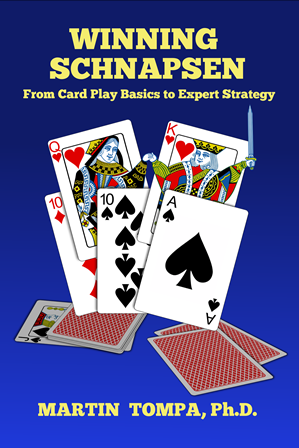 Let’s go all the way back to trick 1, when Tibor led ♦J.” Hans reconstructs your starting hand on the table for all to see. “You should plan your play carefully before acting,” Hans continues. “With your beautiful hand, you fully intend to win this trick, close the stock, and score 3 game points. That’s all good. Gently, Hans asks, “Did you consider any different action at the first trick? It’s very natural to win it as cheaply as you can, saving your ♦A for later. But it’s worth considering winning that first trick with ♦A instead. The advantage is that you score the points for that ace immediately, rather than risk having to discard it later. Here is how your hand would have looked after you close the stock and declare the royal marriage.” Hans rearranges the cards on the table.